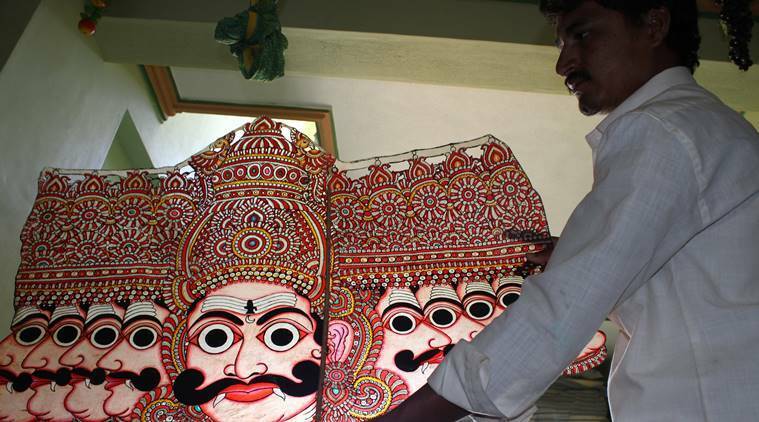 A Tolubommalata shadow puppet, made by the Shinde Anjaneyulu family, who will be performing at the inauguration of the conference on Monday, June 27th. The 19th International Oral History Association Conference will be held in India for the first time, co-hosted by the International Oral History Association (IOHA) and Oral History Association of India at the Srishti Institute of Art, Design and Technology, Bengaluru. This is also the first time that this conference will be held in Asia. The International Oral History Association was constituted at Göteborg in 1996 as a professional, bilingual (English and Spanish) collective with the aim of documenting human experience through oral history and providing a forum for oral historians around the world. The Oral History Association of India is a smaller body of professional oral historians, founded in 2013 in Bengaluru. The field of oral history is relatively new in India, but has gained recognition in North America, UK, Australia, South Africa, Latin America and parts of Europe. The practice of oral history places an emphasis on the voices of individuals and their lived experiences. In India, a multitude of oral traditions shape the culture of orality, story-telling and memory, folk and performing arts. Oral history or the recorded interview which focuses on life stories and people’s experiences takes on many narrative forms throwing up new questions that could redefine the field itself. training, and gain exposure to the work of an international community of oral historians through masterclasses, talks, panel discussions and public events. China are well represented, as are several Latin American countries such as Argentina and Brazil. Panelists at public sessions include well-established and reputed academics from the United States, the United Kingdom, Germany, Spain and India. Speakers include Urvashi Butalia, co-founder and CEO of Zubaan; Robert Perks, Lead Curator of Oral History &amp; Director of National Life Stories at the British Library;; oral historian Sean Field; former IOHA president Miroslav Vanek; Historian Emeritus of the United States Senate, Donald A. Ritchie, Gabriel Medrano de Luna, professor of social sciences at the University of Guanajato; Michael Frisch oral/public historian; and Indira Chowdhury, Director of the Centre for Public History, at the Srishti Institute of Art, Design and Technology. The conference keynote will be presented by Meghna Guhathakurta, the executive director of Research Initiatives, Bangladesh (RIB) on June 27, 2016. She will speak on “The persistence of memories and the radicalization of action: oral history in transformation in Bangladesh”. Her speech will be followed by a shadow puppet performance: “Stories in the Shadows: A Tolu Bommalata Performance” by the Shinde Anjaneyulu family (India), curated by the Antara Arts Collective (India). Members of the press are invited to attend the inauguration ceremony of the conference on June 27, 2016, beginning at 5:00 p.m. at Chowdiah Memorial Hall.